Ground control to Major Tom: What happens when an astronaut needs to use the bathroom? 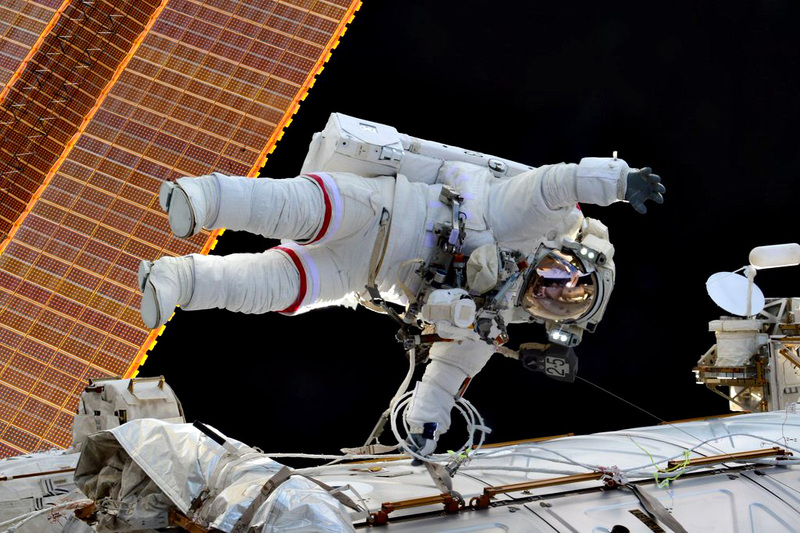 Out of all the innovations developed in mankind’s quest to go forth and explore the universe, NASA has still not moved beyond the adult diaper for astronauts who need to relieve themselves when they head out for a spacewalk or during a rocket launch. Yes, it’s gross, but thanks to the “60-day Space Poop Challenge,” spearheaded by crowdfunding platform HeroX — with the support of NASA — has come up with some inventive solutions for responding to nature’s call in zero gravity. On Wednesday, HeroX revealed the three winners of the contest, which called for solutions to “human waste management inside a spacesuit” while still “protecting the health and safety of its astronaut occupant for up to six days.” The challenge specified just what quantity would need to be managed during that time. Current spacesuit-compatible adult diapers last for less than one day. More than 5,000 solutions were proposed, according to HeroX, and teams from all over the world participated in the competition. Some people submitted as individuals while others contributed as a team. Eventually the judges narrowed the field down to 21 finalists before naming the winners. First prize went to Col. Thatcher R. Cardon, a U.S. Air Force officer and physician. His proposal centers on an “access port” that covers the “perineum” — a more polite way of describing the crotch zone under the tailbone. It has two flaps that open out and a small valve through which waste can be expelled from the suit. Cardon’s design won him a $15,000 prize. A team called the Space Poop Unification of Doctors (SPUDs) won second place — worth $10,000 — for an air-powered waste-disposal system. The $5,000 third-place prize went to Hugo Shelley for the SWIMSuit—Zero Gravity Underwear, which features a catheter design that can be used in microgravity. The unique undergarment “compresses, seals and sanitizes solid waste,” according to Shelley’s description. These designs won’t necessarily be put directly into use in space anytime soon, but the contest could lead the way for innovations down the line.